The swimming pool. Few other phrases conjure the excitement that an aquatic adventure can provide. A well-maintained pool is often a way to balance fun and relaxation for people of all ages. While the idea of a pool is hard to pass up, a plethora of swimming pool equipment is needed to ensure a safe, clean experience. Alpa Pools & Spas is proud to be your Top Rated Local® provider of swimming pool supplies in New Jersey by delivering top-notch products and the highest quality services. Since 1969, our swimming pool supply store has provided the gear and expertise to North Haledon and beyond. If you have any questions or concerns regarding your in-ground pool, be sure to contact our experts for assistance! A full assortment of pool supplies is needed to optimize your customer’s swimming experience. Today, we’ll continue to preview some of our many swimming pool accessories that are available for purchase. In-ground swimming pools need a tool that exerts the force necessary to circulate water. As such, it’s important to find a pool pump that fits your setup. This handy device can be seen as the heart of your pool, pushing water in through the filter and pulling it back into the return. While many people go bigger on their pumps just to be safe, the truth is that doing so can lead to higher energy costs and too much strain on the filter system. A rule of thumb for the size requirements is to find a pump that can filter all of the water throughout the course of eight hours. This ensures optimal cleanliness while minimizing the strain put on other pieces of equipment. The heater you need will depend on the size of your swimming pool. Alpa Pools & Spas is here to help you find the perfect heater for your system! While science is helpful for mad scientists, it’s even more beneficial for pool enthusiasts. The chemical reactions and delivery systems of automatic pool chlorinators are a great convenience. Essentially, this device utilizes chlorine tablets in a canister, where incoming water will erode the tablets as it passes through. Upon being fully chlorinated, the water will return and mix with the rest of the H2O. You can choose to have a chlorinator installed on the return line or off to the side with two feeder hoses. 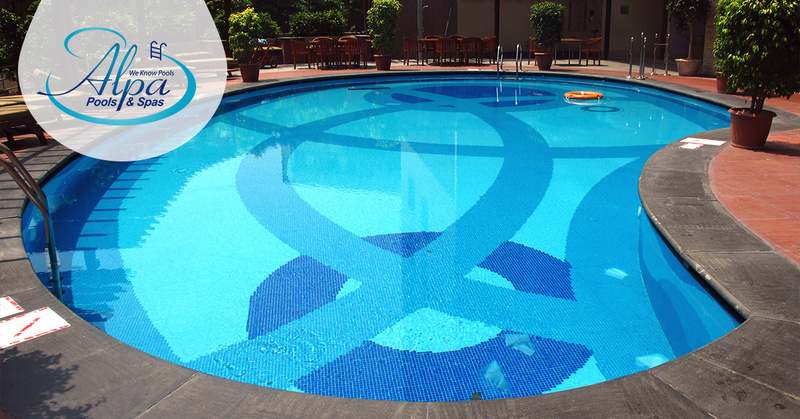 Our experts can help you find the perfect chlorine solution for your pool. Utilizing the best gear ensures that your guests have the best time at your pool. Procuring the right equipment and swimming pool supplies in New Jersey can be a challenge, which is why Alpa is here to help! Our pool supply store offers all of the gear needed to keep your operations running swimmingly. If your pool is in need of equipment or services, be sure to contact us today or stop by our store for help!